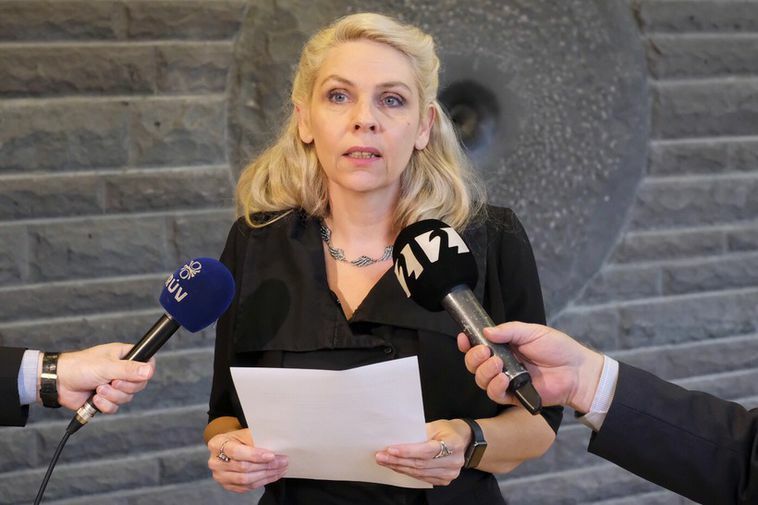 Pirate Party captain Birgitta Jónsdóttir read a statement imploring other parties in Parliament to respond to the appeal made by Iceland's president to agree to a new draft of the constitution before parliament is dissolved. "Revelations that misuse of power has been directed towards victims of sexual abuse has had a deep impact on us all," she said, furthermore praising the courage of the victims and their families who have come forward in this matter. "We admire their courage and their integrity. It shows us how individuals can have an impact and change society. It shows that the public is in charge and it was the public, who five years ago, voted for a new constitution. The Independence Party, with these actions, has shown that it is not fit to rule. The Pirate Party therefore implores all other parties in government, to heed our call, and the call of the President of Iceland at the opening of the Parliament, to agree to a new constitution before Parliament is dissolved and a new election is called, which has to be as soon as possible."